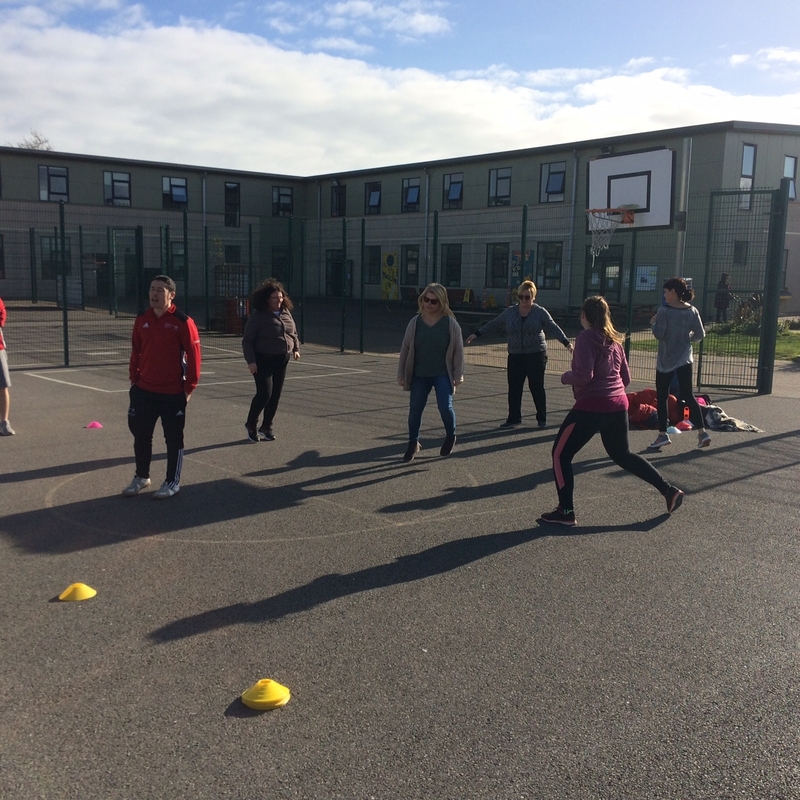 Owen and Stephen, Sports Conditioning Officers from Fingal County Council, came in to give some tips and ideas for teaching P.E to some of our staff. 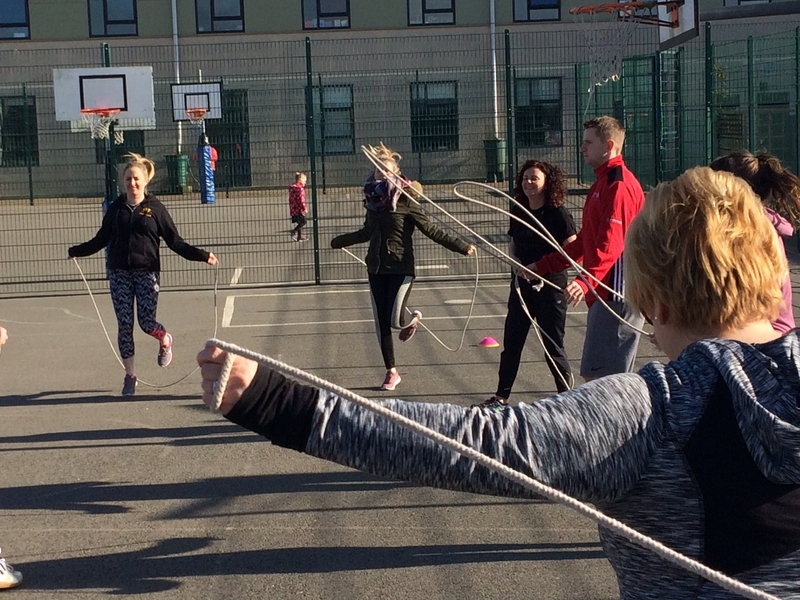 The teachers who took part now have lots of a new games and exercises to help make P.E even more fun and exciting for ALL children. Some pictures of the session can be seen below! Each Friday we celebrate the achievements of students in physical activities inside and outside of school. Check out the photo last week’s Active Kids below. 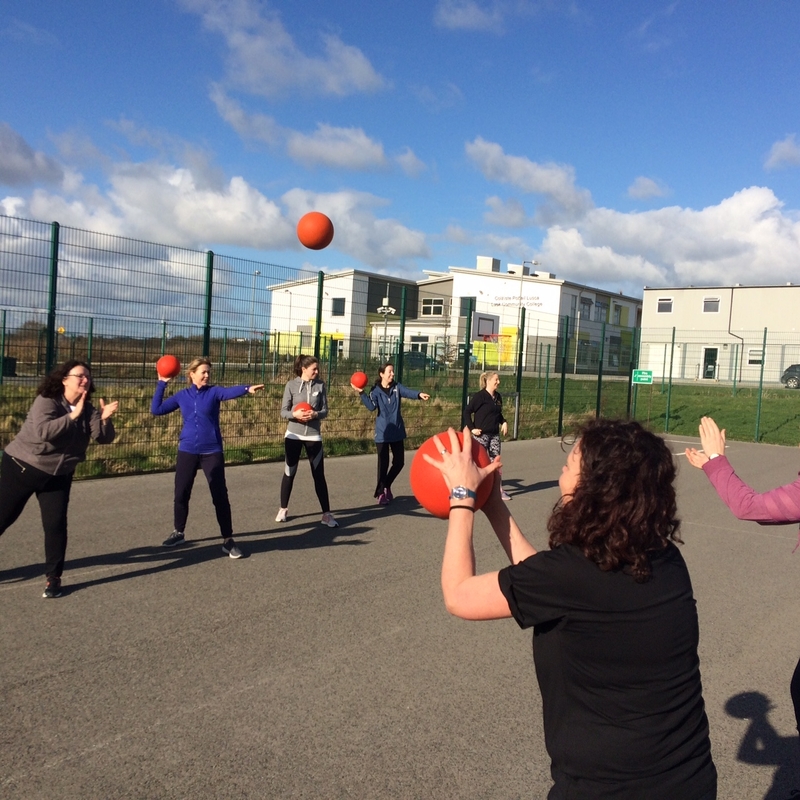 We encourage all of our students to get out and get active! RaLET at the Kenure Park Run! 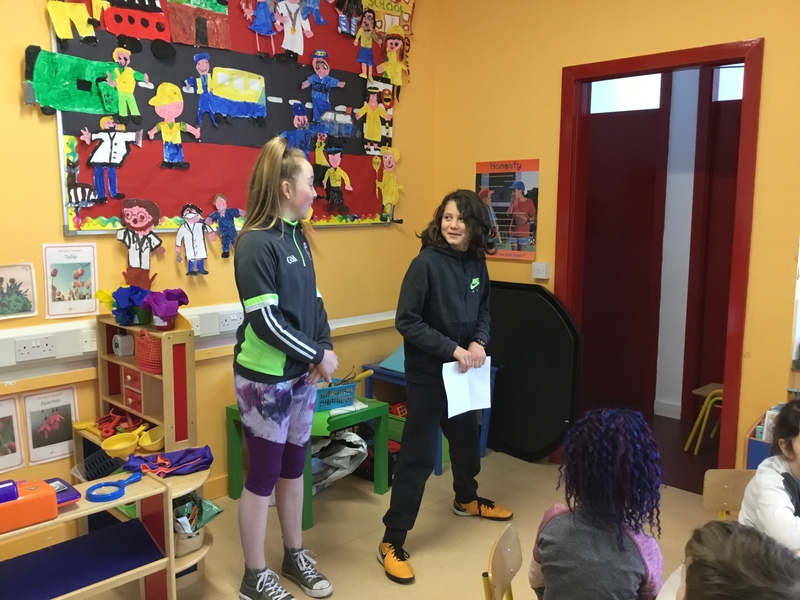 Darragh doing our weekly announcements celebrating the achievements of RaLET’s students in sports clubs outside of school. Many of the children are involved in different activities throughout the local community. We think that our announcements are a great way of hearing what is happening in the area. We hope it will encourage the children to try something new. 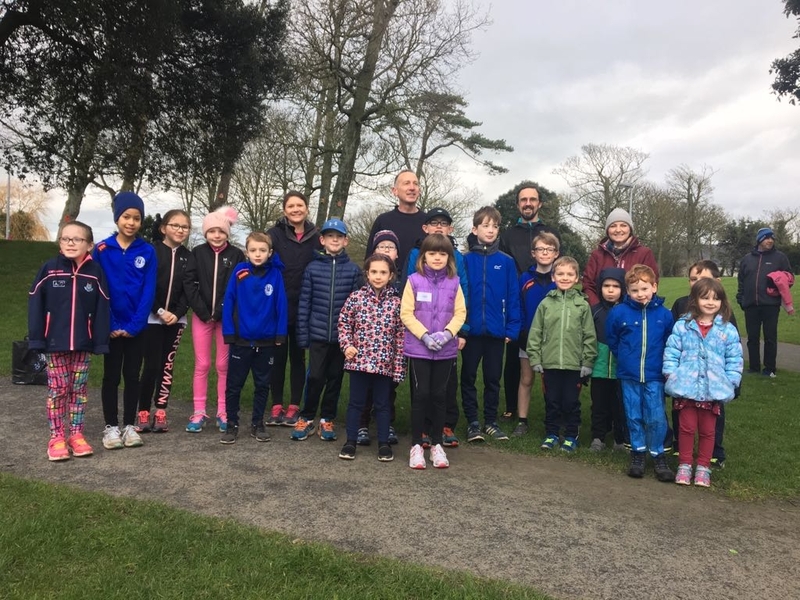 Kenure Park Run – Message from PTA. 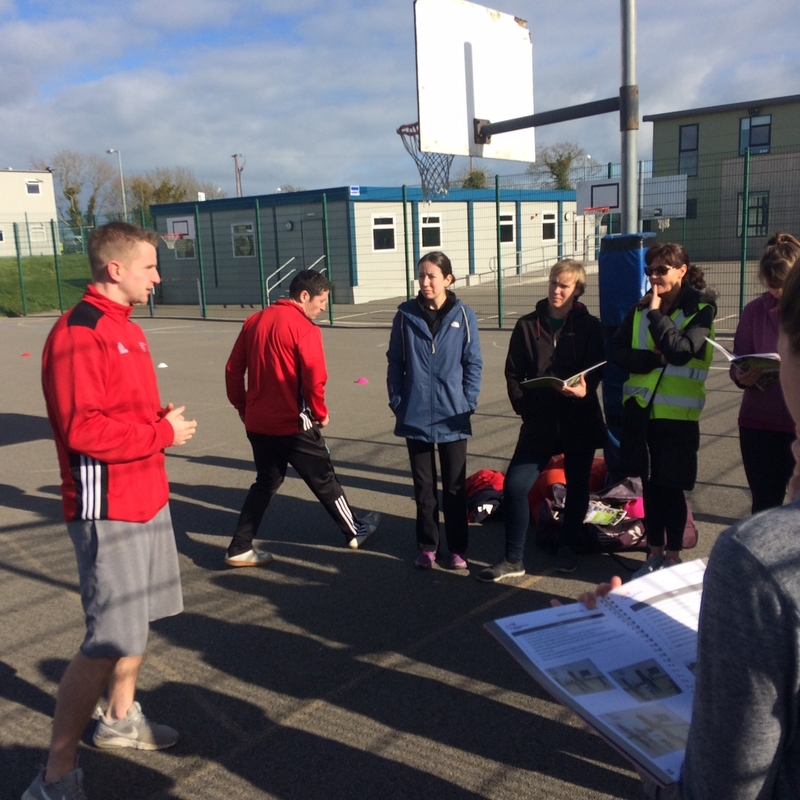 As part of our Active Schools Flag initiative we are trying to encourage RaLET students to take part in the Parkrun that takes place in Kenure Park in Rush each week on Sunday Mornings at 9:30. It’s only 2Km and a great start to your Sunday morning. Many of our pupils already take part in this on a regular basis and are really enjoying it! We have arranged to have RaLET registered with Parkrun as a club. So if your child likes to run but isn’t part of a club already they can register on the Parkrun website with the school listed as their club. This may even encourage a little healthy competition within the school. Please see below attachment with instructions for registering if you haven’t already done so, but you can log on to the Parkrun website yourself if you want. We would like our presence to be felt at the event each week and we appreciate any suggestions as to how we can make this happen. We are also looking for parents to provide support at the event each week. Please let me know if you have any suggestion for the event or indeed if you can help out at the event on the odd week. At the moment the Scouts provide hot chocolate and water at the end of the event each week. 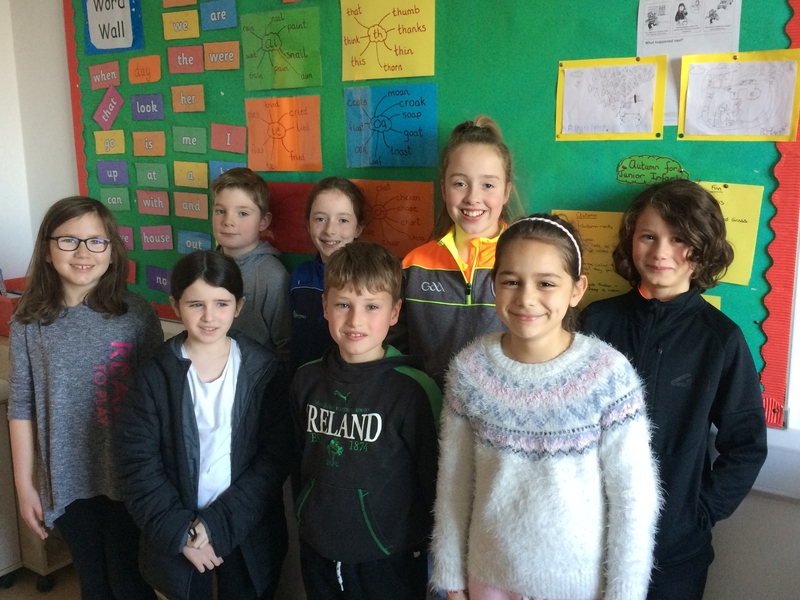 The Active School Committee worked hard over the last week to research what clubs children in our school are a member of. Here are the results (and a special thanks must go to Conor’s class who helped compile all the data and put together these fantastic graphs). Every Sunday, at 9:30am, there is a Junior Park Run in Kenure Park, Rush. The PTA are currently organising to have a group of RaLET runners running every Sunday. Watch the space for more information on how to get involved. 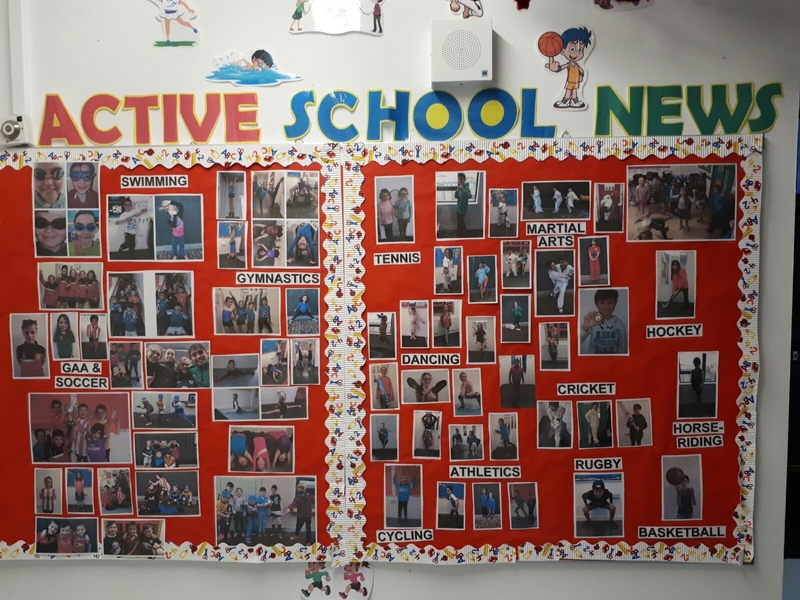 Check out our new Active School Notice Board – its just outside Wendy’s office. 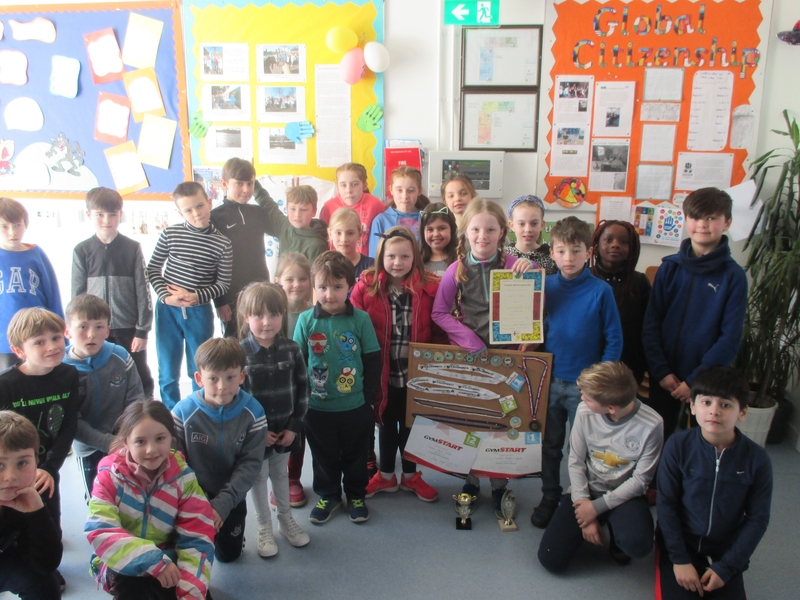 Kate very kindly put together a display of all the different sports that children in our school participate in…have a look! We have a very dedicated bunch of students, parents and teachers on our Active School Committee. This is a photo of one of our first meetings – with just the children. We were busy brainstorming different Active School slogans. 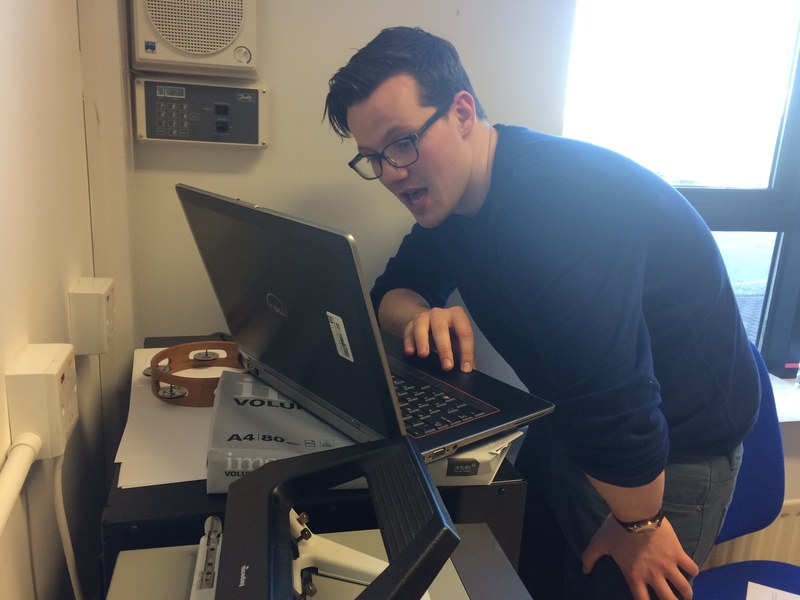 Here is a photo of our hard working committee! 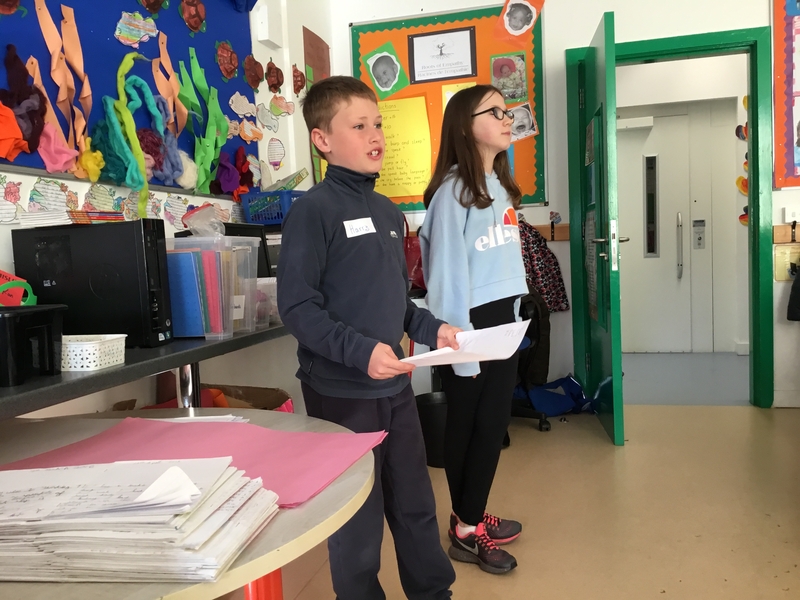 The Active Committee meet regularly to look out ways that activity levels in the school can be improved. They have conducted surveys, gathered song lists and were even involved in creating our Active School Week. The Active Committee keep records in a scrapbook. They take turns to take notes during the meetings. 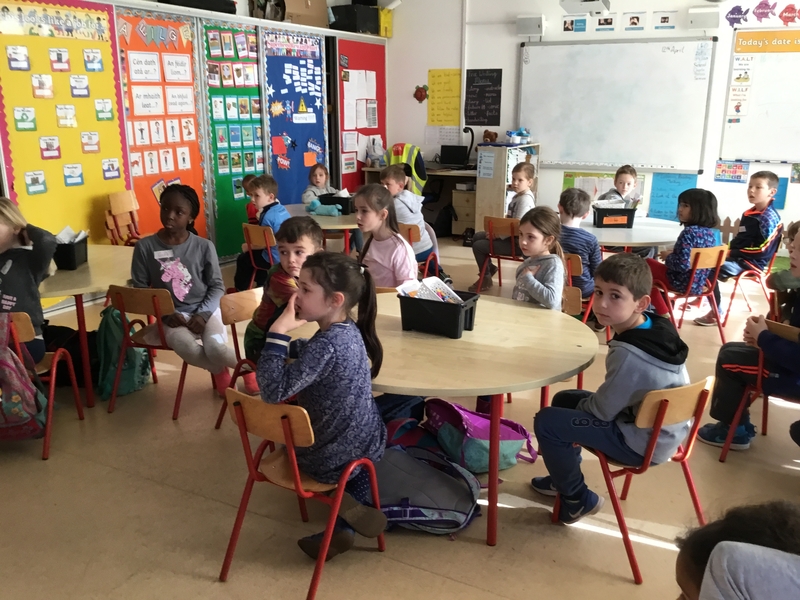 Christine’s, Iona’s, Louise’s, Conor’s, Fiona’s, Aodhán’s and Deirdre’s Classes are all participating in Super Trooper’s this year. They are a dedicated bunch, signing up to this Health Homework Programme. You can find out more at this link to Super Troopers. “Take on your Teacher” at Park Day, 2017.